The Apostle Paul lived an accomplished life as an illustrious ambassador of Jesus to the Gentile world of his time. The man from Tarsus, “fought the good fight, finished the race and kept the faith” (2 Timothy 4:7). He was responsible for opening the continent of Europe to the gospel and his letters form a huge part of the New Testament canon. As long as the Bible is read, taught and studied, the name, Paul of Tarsus, will always be spoken. But do not think for a second that Apostle Paul reached the apex of his calling on his own. He did not. The Apostle Paul actually had a team who worked as patiently and diligently as him so he could be able to finish well. Paul was not solo. He actually sought the assistance of men such as Luke, Timothy, Apollos, and Silas so Paul could be able to accomplish his goals. Like Paul, you can have a team too. You could and must also gather a small but dedicated group of people whose hearts are focused on achieving your goals. Forge partnership with them built on mutual trust, respect and reciprocity. 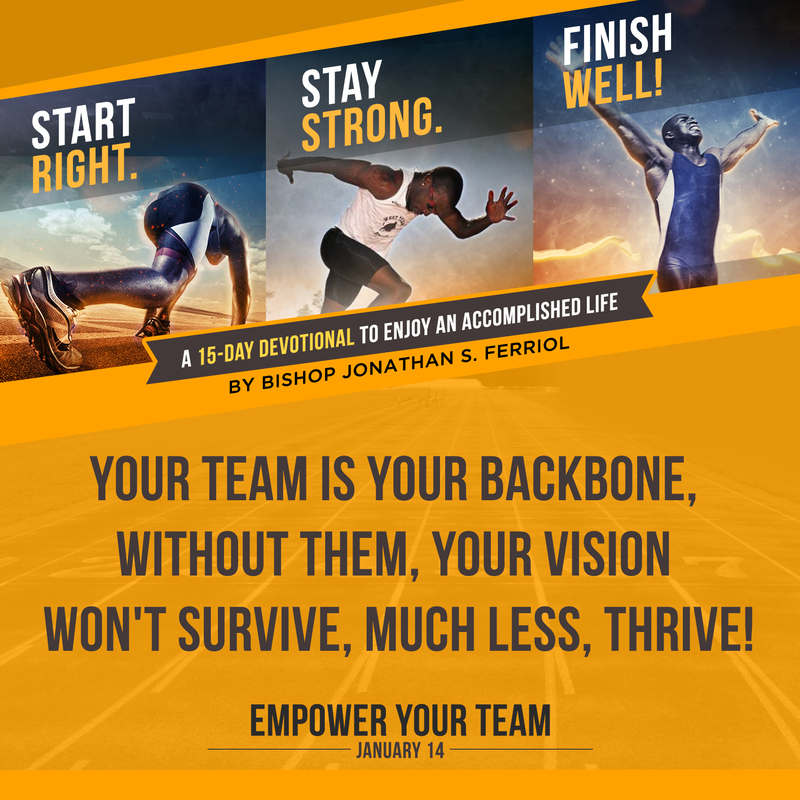 Your team is your backbone. Without them, your vision won’t survive, much less, thrive. But in order for them to function, you must also invest in their own growth and development. You must equally empower them so they would also realize their own dreams and ambitions. Empowering your team is your investment to your own success. Reward their diligence by sharing to them the fruits of your labor. Listen to them as they share their challenges in their own lives. Seek and respect their opinions and insights. Affirm them with sincere praise or recognition. Compensate them right and generously. Pray with them. 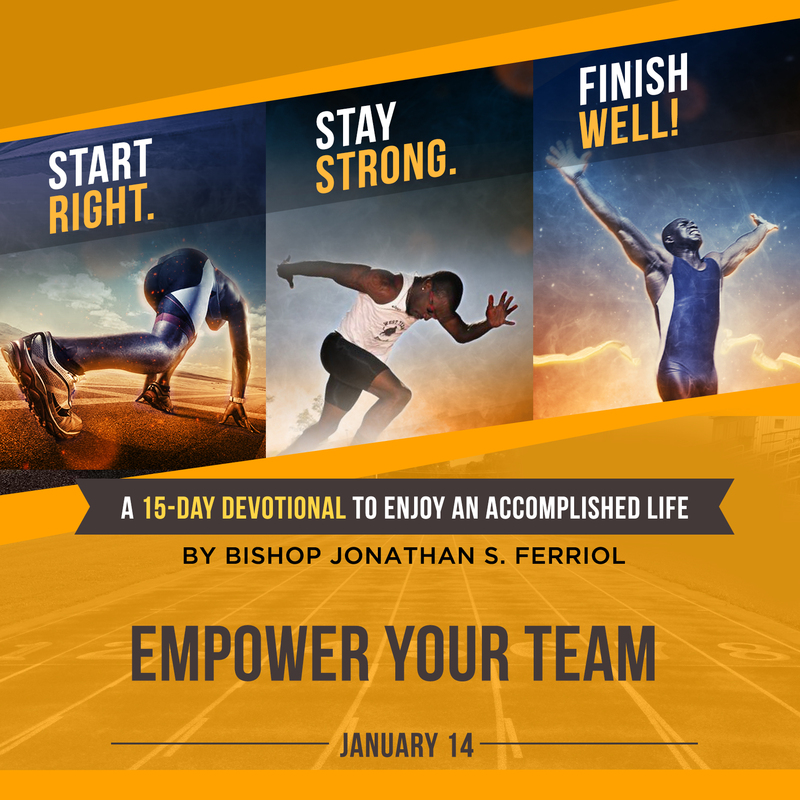 So begin empowering your team today and begin accomplishing more!